A small family-run cafe in London, called Station 164, decorated the food they delivered to their customers with a small British flag. Now Carol Brown and daughter Candy Merrett probably shut the cafe after being exposed to a campaign on social media, claiming the flags show that the owners are racists, writes Daily Mail. Later she decided to close the cafe. Candy says that some people have gone into the cafe just to throw the flags on the floor. A commentator on TripAdvisor believes that people who do not tolerate an English flag that adorn the food and think it is racist should concentrate on eating in an eatery in East London, and “let those of us who love it (the flag) in peace. I want to eat here again and again and again ». Then the question becomes whether it becomes possible. Because even though the owners’ last word is that they want to close the cafe, it is legitimate to change their minds. A large majority believes climate change is happening, and one in three believes they have experienced it personally, according to a recent survey. The survey was carried out by the Cicero Center for Climate Research, and some of the findings are presented during Arendalsuka Tuesday. “It seems that there is a fairly small proportion of the population who believe that climate change does not happen, and also a small proportion of people who believe that humans do not affect the climate,” concludes Cicero researcher Marianne Aasen to NTB. 31 percent say they have experienced the climate change in person. The survey was taken up in June, and Aasen therefore believes that it does not catch the summer tumble and the discussion of “good summer weather” versus climate crisis. It’s just a taste of the survey Aasen can present in Arendal, since the numbers are so fresh. The researcher makes reservations that there may be some bias, but it is important to shout at the main picture, she emphasizes. * A total of 77 percent believe the claim that climate change is going on is quite good or very good. * Under 10 percent deny that human activity affects the climate, while around 70 percent think we contribute to the changes. About 4,000 people have been asked, and it is TNS Gallup who has been collecting data. With annual surveys, the research center will monitor whether people’s views on climate change and climate change change. In particular, Aasen is keen to see how the policies the politicians arrive at affect people’s attitudes and behaviors. Can measures to limit food shedding and driving have the same effect as the smoking act, which has helped to make smoking taboos in very many circles? “We will look at the evolution of norms – what do people think is okay? It is especially interesting now that there are instruments on the stairs. Increases resistance when instruments are introduced? is something that Aasen is wondering about. More than half of the respondents have little faith in the fact that “new technology will solve the climate problem so I do not have to change my lifestyle.” But many seem to have a certain hope that technology can save us. Nearly 26 percent say that this statement is neither bad nor good, and almost one in ten are confident that the technology will solve the climate problem. During Arendalsuka there are a number of events where the climate will be discussed. The Paris agreement puts pressure on politicians and industry to find solutions that cut the emissions. Previous surveys have shown that people would like to contribute to addressing the climate problem, Aasen says. The question is how far they are willing to go and what measures they can swallow. – People also want society to make the right choice, rather than punishing bad climate choices with high fees. Making vegetarian food more accessible and making it easier to choose collectively are measures supported, says Aasen. Among other things, people find it easy to let pedestrians and cyclists get more space at the expense of the driver, according to the Cicero researcher. “When it comes to changes that really make sense, like flying less and driving smaller cars, people generally indicate less willingness to do something,” says Aasen. For some of us, it means a lot of being curious and expanding our mental horizons. We seek insights, what is called truth. Such a life of the quest requires exposure to varied thoughts and experiences. Most of the intellectual building blocks come as an accumulated insight inherited, tried and failed over hundreds of generations. It was especially possible to stand on the ancestors’ shoulders when the art of writing developed. But new thoughts also descend. It triggers old truths, and it challenges established power relationships. Therefore, it always has the wishes and powers of the find that will introduce censorship. The established and powerful have always had their methods. In the past, riot leaders were picked up and put them in prison or worse. You could also ban collections of more than five people. Previously, such restrictions could mean that people could not communicate. There was no phone or internet. Now we have just got internet and social platforms on the internet. On these, people in theory can talk to anyone and so many. In free form, it is a solid opinion exchange. But it is also threatening, for some. Ideologies can be challenged and torn apart. People can be exposed and revealed. And it can also spread lies, propaganda, kittens. Yes, “hate speech”. The Internet and free social media can revolutionize politics and ideology in theory. Not necessarily for the better, but possibly. But not everyone wants the ideology (s) to be destroyed. And some of them will fight. And those who fight against the destruction of their worldview, their ideology, their religion – which may be their identity – will now naturally try to limit people’s ability to be heard and discuss on these new platforms. And while busted people were more likely to be locked and knocked (by letter and ban) or could not get to the marketplace where people gathered, they are now banned from the new places where gossip is shared and politics are created. It’s Facebook, Youtube, Twitter, Apple, Google, Spotify etc. These technology giants are so big that they can not be resisted. And the censorship does not come as a race, it starts cautiously and increases gradually. A voice is excluded here and one vote there, but it happens gradually and one by one. Those who are not banned in the first place, but who are in the gray zone, hold their breath and hope they do not happen. They can not get boycott Facebook even if the colleague was just banned. They hope the best and things get better. That no one should knock on the door of them. We have our domestic examples. Some, like Thomas Knarvik, are banned in one set. In the US now there are bigger things going on. There’s a massive campaign made sure to remove Alex Jones and InfoWars from all the major social media. He is being removed because of conspiracy theories and “hate speech”. But it is a matter of hate speech on social media. From left and right, for and against Islam. And even though he exaggerates and definitely lives with untrue conspiracy theories, including facts that are true, and he has been guilty of fake news, he is not alone in any way. There are many crazy people out there who are unprecedented. So why Alex Jones? It is because he is somebody, a threat, a threat to the establishment in the United States. Millions of people know who he is and listen and read to him and InfoWars. He even interviewed Donald Trump, and undoubtedly helped him win in 2016. Perhaps Alex Jones was even decisive for the outcome on the margin. That is why CNN and various Democrats and activists have put pressure on technology giants to unpublish Jones. He is a foul voice. One could say that Youtube, Facebook, etc. should remove all Muslim hate speech – and that’s enough to take off. But I do not think they should. We can not be frightened (insane) opinion polls. On the contrary. The west is just a good place because it is (or was) illuminated enough not to believe in quackalists, sulfur preachers and conspiracy theorists. Our ambition was – and should be – that they could speak freely and get dressed in the free public space. Therefore, we should also allow Islam to be pronounced, and put it down with arguments to the extent that it is necessary. For some ideas, so stupid are given what we today know that they simply break themselves down. This self-esteem should also acquire the establishment. Do not fear Alex Jones. If he is so mad and talking hate and conspiracy, would people in an enlightened democracy like to uncover it? All his viewers hardly buy anything he says anyway. Or are you unsure of your own claims? Does the reality begin to differ too much from what you claim about multiculturalism and globalization? Because by putting him in the sentiment, behind the lock and strike, you have already declared your revolt against the free word, against democracy and freedom of expression. You are denying yourself the right to call you liberal. Preventing people from speaking is totalitarian. But it is unfortunately in the direction “the establishment” now wants to take us. It happens with small but frequent steps. One assumes that technology giants have no duty to open up their commercial social platforms to anyone. They are private and can do as they please. But everyone understands the effect of being shut down from the modern marketplace. That means knocking, ties to death, loses its democratic voice. We are exposed to a serious attack on freedom of speech from powerful forces, and it comes from those who claim to take it in defense. They have become intolerant in the tolerance name. Our Prime Minister has criticized Resett, and she tries to criticize Islam by calling it “religious racism.” Her culture minister, Trine Skei Grande, is still looking forward to new media such as Resett and would like to welcome any teasing from the technology giants against Norwegian counter votes. With them / us gone, her behavior in a wedding in 2008 had still not been known. And if we do not mobilize against the increasing constraint of who and what to participate in the public arena that technology giants are now controlling, and soon, this will not be going well. The western world we love is based on (the ambition of) the free word, the free thought, the honest exchange of opinions. Censorship is the root of democracy’s death, and to fear, frustration, insecurity and violence. So let’s do the right thing and let freedom of speech survive. And to get it, the actual technology giants must play on teams. Like it or not, but it is. We are used to hearing about censorship and oppression of opinions in countries such as China. They refuse their citizens free access to the internet in fear of being oppositional and demanding changes in society. Politicians in the West have long criticized China and other countries operating in similar ways. Now it turns out that many of them are hypocrites. After the choice of Trump, left-hand side, without a better description, was completely hysterical. Politicians and their friends in the media began to scream about “false news” as an explanation of why Trump was chosen. They demanded that companies like Google, who owns Youtube and Facebook, remove what they call “false news”. They often use this tactic. They make an “evil” and shall determine what is the definition of this “evil”. They did the same with the term “racism”. From having an innocent start as a description of “ideas about racial superiority”, it became a broad term. Which even included criticism of immigration and multiculturalism. They promise to “racism” and incorporate ideas into schoolchildren. Suddenly we are in today’s situation, with a population that accepts a total transformation of our own society. The left side has defined “false news” and companies like Facebook and Google have changed their platforms according to their wishes. It is very likely that this campaign has brought bias to right-oriented news media. Traffic to right-wing news agencies has been reduced from social media. They did not finish there, afterwards they spoke to Youtube. They started a campaign to remove ads on videos that violate what they think is appropriate. To achieve this, they showed videos like glorified violence, but also “racist” videos. This led to the youtube creators named adpocalypse, Google removed advertising on a large proportion of videos. Sometimes completely inexplicable. After this, it has been difficult for political channels, mostly on the right side, to get revenues from their videos. I have also noticed that the channels have completely stopped growing. Not long ago, they launched a campaign for the internet companies to become stricter against “hat”, which of course the left-hand side defines. The result is the exclusion of individuals like Alex Jones, not just on a platform, but on absolutely everyone. Absolutely without a proper explanation. Without showing to specific clips. All this forms a clear picture; The goal is to prevent people with the wrong opinions to get an audience. In the modern world there is public discussion and information dissemination on the internet, especially social media. By banning people from these platforms, you can also censor individual opinions. The left side aims to remove some opinions from the public discussion and remove the democratizing effect of social media. To gain more control over the population and their opinions. It is uncertain how they initially gained such control over the old media. All Norwegian newspapers and TV channels are all the same, they bend for the left-wing flute. Most American do the same. Now they go after the internet and their methods make China blush. Friday the Twitter account of commentator Gavin McInnes, who worked in Rebel Media, was permanently blocked without notice. The official account of Proud Boys, a conservative-liberal activist group, McInnes has founded, was also blocked. A spokeswoman for Twitter claims that the accounts have been blocked because they violate the social platform’s current violent extremist groups. The decision to ban McInnes comes after Twitter director Jack Dorsey promised that violations of the social media guidelines should be handled “with warnings, with notices and temporary account barring” before any permanent exclusion. This said Dorsey when he recently visited Sean Hannity’s radio show. Dorsey immediately after the interview with Hannity was severely pushed by twisted Twitter employees, which led to rapid changes to the company’s rules of current so-called hate speech. On Thursday, the New York Times published an article where they trivialized the fear of comprehensive censorship of conservative debates, and called the “excessive” concerns. Twitter’s decision to ban Gavin McInnes came shortly after InfoWars host Alex Jones was banned from a number of platforms. In another case, the popular, politically independent podcast h3h3 was immediately closed midway through a live broadcast on YouTube after the host began to discuss the censorship of Alex Jones. Just over an hour later, Gavin McInne’s personal Twitter account, as well as the account of his activist group, was blocked. Resett.no has written several articles about the censorship of the famous right-wing, but partly conspiracy Infowars, directed by Alex Jones, thrown out of several social media. The New York Times has come to the bottom of Facebook’s decision-making process and can reveal that the decision was not taken by subordinate bureaucrats, but by Facebook owner, Mark Zuckerberg, personally. Late Sunday, after returning to the hotel room on a trip from home, Mark Zuckerberg took a decision he had hoped to avoid, writing the American newspaper ..
For several weeks, Facebook’s CEO and his colleagues had discussed what they should do with Infowars, writes The New York Times. The pressure on Facebook to do something about him had intensified after executives gave a series of vague and confusing responses to politicians and journalists about the company’s guidelines. Incorrect information was allowed to stay on the platform, they said, but hate speech is not accepted. Then some users dug up and reported old Infowar’s posts, asking for them to be removed on the grounds that they glorified violence and contained dehumanizing languages ​​against Muslims, immigrants and transgender people. But Alex Jones does not care so easily. According to the newspaper, he has millions of followers, a popular video program, and President Trump’s ears. Trump should once have told Alex Jones personally that his reputation was “amazing”. Prohibition of such a prominent activist would lead to political setbacks, no matter how justified the action was, feared Facebook leadership. Therefore, according to The New York Times, the situation was volatile enough for Zuckerberg to engage, according to the newspaper’s sources. Alex Jones has previously called Facebook the entrepreneur for “genetically manipulated psychopaths”, so the sympathy was probably not particularly strong in the first place. According to The New York Times, Zuckerberg has always preferred narrow decision decisions. His assessment of Infowars took the form of a number of technical policy issues. They included mass reporting of Infowar’s posts in the form of a coordinated action, a tactic common in online harassment campaigns. Leaders also discussed whether Alex Jones’s Facebook pages should be removed altogether, or should they remove unacceptable posts as they appeared. It was Apple who was first out with the exclusion of Infowar and Alex Jones. Infowar podcasts were removed from iTunes. After seeing this news on Sundays, according to the New York Times, Zuckerberg sent a note to his team confirming his own decision: The pages would be taken down. The following days also announced other platforms – YouTube, Pinterest, MailChimp, and more – that they forbade Infowars. The exception was Twitter, which decided not to ban the website or Alex Jones. People in need should rather get money to trade than a sack of rice, the government believes. Cash assistance is one of the initiatives in the government’s humanitarian strategy. Cash, cash cards and mobile payments have been given a separate chapter in the strategy presented by Foreign Minister Ine Eriksen Søreide (H) in Arendal Monday. Cash is more cost-effective and reduces the risk of corruption and default, according to the strategy. “Increased use of cash also helps to bring back crisis-minded people by strengthening their finances and enabling them to prioritize their own needs,” the government writes. Where food distribution has been criticized for destroying local markets, money transfers can help support the local economy. Several relief agencies have for the long time started giving people in crisis money in one form or another so that they can handle what they need on the market or in local stores. – Cash-based assistance is one of the most significant reforms in recent years, the refugee auxiliary secretary Jan Egeland writes in the preface to a report on cash support that was presented in February this year. It is stated here that cash support represented 10 percent of emergency aid in 2016, an increase of 2.5 percent from the previous year. But it is also pointed out that it is a challenge for the organizations, who have to change the way they work. The government will be a driving force for promoting increased use and better coordination of cash-based assistance, it is stated in the strategy. The Ministry of Foreign Affairs will now ask the organizations they cooperate to use cash where it is most appropriate. The humanitarian strategy points out which areas the government will prioritize in the period 2019-2023. “Norway should be a driving force for rapid and effective humanitarian efforts. In Syria, Yemen, South Sudan and many other conflict-affected countries, people are exposed to violence and abuse, and relief workers are denied access. The government will especially prioritize the protection of children and young people, combating sexual and gender-based violence and the protection of civilians against mines and other explosives, “says Søreide. The strategy points out that Norway is working to get the presidency of the mining convention in 2019. The Ministry of Foreign Affairs also announces that it will collaborate with Innovation Norway to establish a humanitarian innovation program. In addition, the ministry will enter into more partnerships with Norwegian organizations and perhaps also multi-year agreements with international organizations that will receive free funds. As of this year, the government has signed an agreement with the United Nations Emergency Aid Fund, which will receive NOK 420 million annually over four years. The purpose of such agreements is to give organizations greater predictability and help organizations react quickly when crises arise. He has been thrown out of YouTube, Apple and Facebook. But now there is a new video platform that welcomes the program host Alex Jones. When YouTube threw out the channels of the Infowars host and conspiracy theorist Alex Jones on Monday, Mike Adams stood ready and waited. Adams is the founder of Real.Video, a platform he launched in March after he was also kicked off by YouTube for what should be a violation of community policies. His website marks himself as “the solution to YouTube censorship and anti-freedom authoritarianism, writes NBC News. He is part of a small group of new technology platforms for users who are too extreme or controversial to Facebook, Google and Apple, who all removed Jones’ content from the platforms this week. The American Alex Jones is known for his conspiracy theories and claims of the type; “The water makes them gay”. With Jones’ intro on Real Video, it has also become a boost for new users. On Tuesday, Jones announced that he would release 1,000 of his most anti-government and conspiracy videos on Adam’s website. A total of 350 new channels have been created at Real. Video in recent days. On Monday, only one program of the six podcasts from Jones’ Infowars platform, which Apple previously offered, namely RealNews, with program director David Knight, wrote Buzzfeed. Both the “Alex Jones Show” and “War Room” are thrown out of Apple, what Washington Post describes as “one of the most aggressive measures from technology companies and power services” against the conspiracy theorist, NTB reports. “We believe in showing a wide range of views, as long as people are respectful to those with different opinions, it is stated in the statement. Monday morning, Spotify also followed up removing all episodes of “The Alex Jones Show” after picking out a few individual episodes last week. Monday morning The Verge writes that Facebook has made all four of Alex Jones’s four pages inaccessible: both his main page, channel page and both American Infowars pages. In its explanation, Facebook writes that this is not due to the fight against false news, but it is the result of repeated violations of the company’s standard. Much of the extreme heat in the world this summer is linked to abnormal winds in the atomic sphere – and to man-made global warming. In Norway, the exceptionally hot summer came almost immediately after the even more abnormal month of May, when the national warmth rule was regularly broken. The situation in Norway, Sweden and Finland has been one of many extreme weather events in the northern hemisphere. Canada, USA, Northern Europe, parts of the Middle East, Caucasus and Japan have experienced extreme hot or drought. Many climate researchers believe there can hardly be any doubt that man-made global warming has made the wave of heat waves worse than it would otherwise be. “Serious climate change is taking place in front of our eyes,” Professor Rowan Sutton told The Guardian. Bjørn Hallvard Samson at the research center CICERO uses somewhat less dramatic words, but agrees in essence. “Global warming has made this worse, there is no doubt about it,” he told NTB. The average temperature of the globe has moved upwards, as emissions of greenhouse gases from coal, oil, transport, industry, deforestation and agriculture. Therefore, when heat waves occur, they will typically be somewhat warmer than before. Still new heat cores are completely in line with what we can expect. Over the last few months, new records have been set in more than 15 different countries. – This is not a future scenario. It’s happening now, she emphasizes. Gradual warming of the globe is nevertheless the only trend that affects the heat waves. The weather will always be influenced by a multitude of coincidences. And climate change can also take place in more indirect ways. One example is that climate change in many places leads to more severe droughts. If the drought comes with a heat wave, the dried soil can enhance the heat. In addition, global warming may affect the polar front and a belt of strong winds high up in the nuclear sphere. The belt, a so-called jet stream, stretches around the northern hemisphere, across the polar front. Jet flow is of great importance to the weather in Norway and other countries on our latitudes. Some scientists believe the wind system now behaves differently than before – and that high pressure therefore more often remains in peace. Unusual movements in the jet stream are drawn as an explanation of stable high pressure and extreme heat both in Scandinavia, Canada, USA and Japan this summer. “Jetstream has been a key player in the sensational heat wave across Britain and Scandinavia,” said American researcher Jennifer Francis to the New Scientist magazine. The connection between the jet stream and climate change is nevertheless uncertain. The theory is faced by, among others, Francis, while other researchers are skeptical. 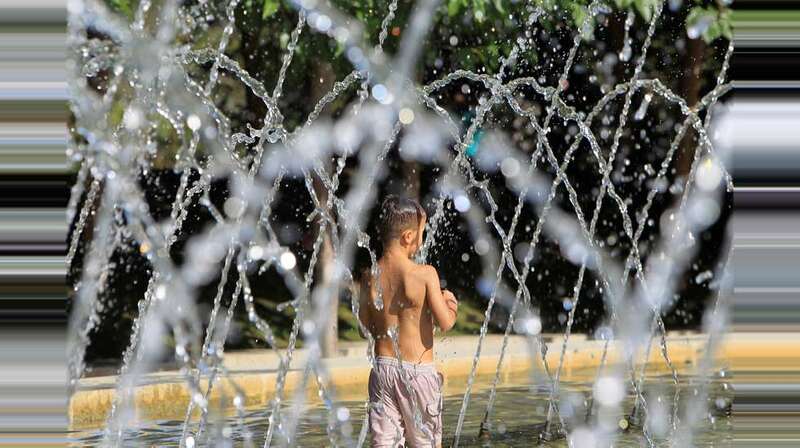 While researchers continue to understand the consequences of climate change, the consequences of summer’s heat waves have been very concrete and in some cases tragic. In Japan, more than a hundred people died shortly after more than two hundred died in flooding. Around 70 died in Canada’s heat. The Greek authorities believe climate change contributed to the fires near Athens, where over 90 perished. Many Norwegians have instead looked forward to delicious summer weather – but not the peasants who have seen crops fade away on the fields. Why collapsed the Mayan civilization? The answer to the prolonged mystery can be drought. The remains of the Mayan civilization in Central America are impressive enough as they stand today. They had the capacity to build deep pyramids, temples and cities like Chichen Itza in Mexico. Here it has lived tens of thousands of people when the Mayans were at their mightiest, between 600-800 AD. But this was at the end of what we call Mayan civilization. The Mayans built large cities and temples for several hundred years BC, eventually growing into a network of city-states with a long history and complex culture. They developed the most advanced scriptural language in Central America according to the Store Norwegian dictionary, and they had a calendar based on astronomy. Some would argue that the Mayan calendar said the world would go down in 2012, but it was passed away in security, if not in silence. But the Mayan world got a bad bite from around 800 to 900 AD. 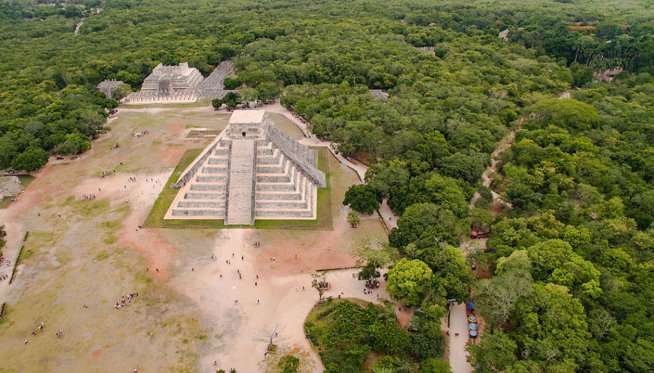 This was not the end of the Mayan, but during this period there was a collapse in the population, and large temples were left to never be used again before becoming a tourist destination in modern times. Nobody knows what really happened during this traumatic era, but many explanations have appeared. One of these states that the vulnerable Mayan agriculture was hit by particularly powerful and prolonged droughts around this time, and civilization simply failed to produce enough food for the population. This theory is controversial, but a great knowledge of 2016 states that this is a likely theory of why these mighty cities fell. A new article in Science supports this theory. An American-British research group has investigated bottom sludge from the Chichancanab Lake in Mexico to see if they can find traces of this dramatic drought, which must have been catastrophic and violent. That’s exactly what they claim to see. At the bottom of the lake there are things that can tell about the history of the lake. The researchers have taken sediment samples, and find plaster with captured water molecules. These gaps are formed when the lake drops a lot due to drought and evaporation. When water evaporates, there are more of certain isotopes of oxygen and hydrogen in the water molecules, so researchers can look at these plots and estimate how severe the drying periods actually were. They try to reconstruct the lake’s history. The laws that originate from the collapse period in Mayarik’s history clearly show signs of extreme drought, according to researchers. During this period, researchers estimate that it was only half as much rain as usual, and in the worst periods it was up to 70 percent less rain. They also estimate that the luxury would be a lot lower than usual. This is a sign that the years around the Mayan collapse were particularly dry, but these measurements tell about the area around this lake, which is near Chichen Itza. Although the Mayan civilization got a bang, it did not disappear. There were still cities, and eventually there were new centers of power, even though they were in a smaller proportion than before.